My puppy “Momentum” turned eight months old last week. This picture was taken during a live training session we did last week for our “Recallers” students…here we where both hamming it up a bit 🙂 At the beginning of each month I put together a plan for my training with Momentum. My monthly plan for a puppy includes skills from four major areas I would like to focus on for her development. You will notice on my graphic I also include something each month I call “new adventures”. This is critical for young puppies but keeps life interesting for all dogs. Below is a video of such an adventure we took in September with Momentum and three of her littermates (and Lynda Orton-Hill’s young poodle “Dare”). In this case “new adventure time” was a fantastic fun filled training session that was both physically and mentally challenging for the puppies. Adventures can also be exposure to “new” and that may just be “mentally stimulating” to a new puppy, or they can be re-visits to places that aren’t “new” but just fun filled and physical challenging. As you can see from my graphic above, the emphasis I chose to put on each “skill group” is not at all balanced every month. Some areas may have less emphasis while others have a much larger focus of my time. As my puppy matures the amount of focus I put on each of these four areas continually changes. Obviously, when I start out with a seven week old puppy the focus is almost entirely on “family pet skills” and “new adventures” with the small injection of “body awareness” with no attention given to the other two skill groups. I like to include body awareness at this stage because shaping these skills are fun, it is a great way to fatigue the puppy without “throwing a ball” to wear them out and it lays down a brilliant foundation developing a strong body with great proprioception! 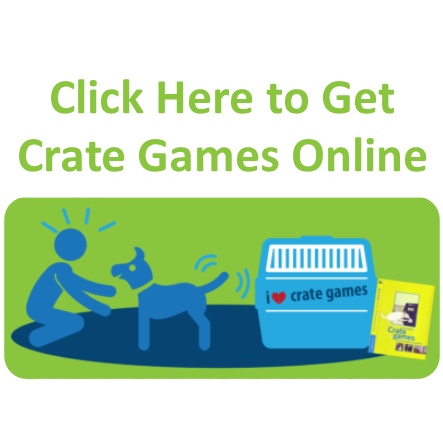 With my training there will be many “family pet” skills (such as “Crate Games”) that will contribute to having an amazing obedience or agility dog…so there will be benefits across these areas of focus. However I am not taking a eight week old puppy and teaching him wing wraps or running a twelve week old puppy through a channel of weave poles or running sequences through uprights or short heights with a six month old puppy. Those things just don’t hit my radar until the puppy is much older. This kind of four-way focused approach to raising my puppies has resulted in me owning a puppy that has grown up to be “the dog of my dreams” ….eight times so far!!! It is also a plan that has resulted in me owning eight dogs that have won US/Canadian and World Championships in agility. 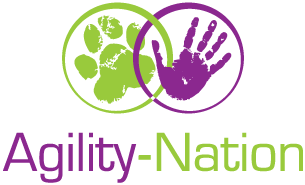 So there is no need to “choose” when raising a puppy, if you want a great family pet or a fantastic agility dog. I do believe you can have it all … and this is one plan that has been proven eight times out of eight attempts to be one that can achieve “it all”! The Tune Ups! These are the skills that are in need of “re-polishing”. For one reason or another these skills not as strong as I thought they were. It happens to all of us! Go back and fix what is “sloppy” now before it ends up completely broken! The Carry Overs. Here are skills that were in my plan last month but that I didn’t have time to train to the level I wanted. The Trouble Shooting Skills. These are skills that will help overcome challenges I see at my puppy’s (or dog’s) current level of training. The Brand New Skills. Next up will be the brand new skills I want to teach in the next month. These are the “shiny new things” that people tend to get carried away with. That is why I leave them until last. Of course a plan is just the start! You still need to get out there and put it into action. Make sure you make it a daily habit to train your dog several times during the day. I like to do one session before breakfast. One session before lunch and one after dinner. Ideally I will get in one or two more but knowing that my sessions are only five to ten minutes long that still doesn’t even add up to one hour a day training my puppy. That one hour investment will pay off hugely down the road. A 45- 60 minute of daily training during the first six months your puppy life is an investment with the payout of an amazing family pet for the rest of his life. It is worth making that investment…it is a return you won’t get anywhere else! “Tune ups” shouldn’t be viewed as a failure. The only failure would be if you ignore what you see and rely on “hope” to fix the direction the behaviour is heading. Hope is a wonderful thing but I don’t think much of her dog training abilities! So yes, perhaps by not jumping into the “shiny new skills” may feel like you are “failing”, but as the quote above states … success starts with humility … and oh, puppies like Momentum do keep us humble! Today I am grateful for Momentum, who pushes me to make things clearer, not just for her…but for everyone.